Ray was born and raised in South Dakota, and moved to Longmont, Colorado where he graduated from high school in 1972. He became a partner in a small Colorado construction company at the age of twenty, and started his own company three years later. 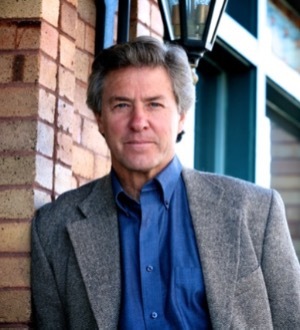 Ray continued with his construction company while attending the University of Wyoming and graduating Phi Beta Kappa with an international studies degree in 1983, and from the College of Law in 1986. Ray and his family moved to Cheyenne after law school, and he has continued to practice with the firm in which he became a partner in 1991. He is admitted to practice before all Wyoming state courts, the United States District Court for the District of Wyoming and the Tenth Circuit Court of Appeals. Ray has received Martindale-Hubbell’s highest AV rating, and is listed in “Best Lawyers in America” and in “Super Lawyers.” Ray has a state wide litigation practice, including the areas of construction, commercial litigation, personal injury defense and railroad law. Ray has authored the Wyoming Chapter of LienlawOnline.com, and assisted with the drafting and comments to the Wyoming Department of Transportation’s administrative rules regarding railroad crossing, right-of-way and fireguard matters. Ray has lectured before insurance conferences and a national veterinarian group associated with the American Endurance Ride Conference, provided mediation and arbitration services to members of the Wyoming State Bar and has served as an expert witness in the legal malpractice setting. Recreational pursuits include wilderness horse pack trips, hunting, whitewater rafting and woodworking.